Dan McEnery, the owner of McEnery Lawn Care, started working in the landscape maintenance and lawn care industry in 1993 as a licensed pesticide applicator and laborer for an award winning landscape company located in Streamwood, IL. After college Dan served as a landscape maintenance and snow removal manager for two other local landscaping firms prior to focusing solely on the application side of the business. Dan founded McEnery Lawn Care in 2007. McEnery Lawn Care knows what it takes to make your lawn green, thick and weed free. We treat all of our clients’ landscapes as if they were our own. Our promise to you is to provide your lawn with exactly what it needs when it needs it to keep your landscape beautiful for years to come. Dan has experience managing cool season turf in a variety of settings including commercial, golf course, municipal, sports field and residential. He is very proud of the fact that McEnery Lawn Care has worked on projects which have received Excellence In Landscape Awards from the (ILCA) Illinois Landscape Contractors Association and Landscape Beautification Awards from the Village Of Palatine. Dan is hands on in all aspects of the business from customer service to estimating and performing applications. He looks forward to hearing from you and using his vast knowledge and experience to make your lawn and landscape look its best. Dan can be reached @ 847-358-TURF (847-358-8873). 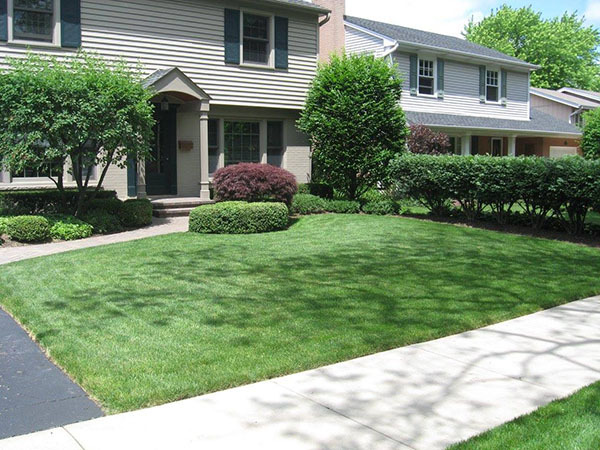 McEnery Lawn Care is based in Palatine, but we travel throughout the entire Chicagoland area. McEnery Lawn Care is committed to providing you with professional lawn care and landscaping services using only the finest materials and modern equipment, resulting in a lush lawn at a competitive price. At McEnery Lawn Care, we have customers in Chicago, Palatine, Schaumburg, Arlington Heights, Northbrook, Barrington, Mount Prospect, Des Plaines, Elmhurst, Hinsdale and everywhere in between. We emphasize the “care” portion of lawn care is important to us so. We hope you will contact us today for lawn care or landscaping services by calling 847-358-TURF (847-358-8873).